For most, the relentless debate over where Deafheaven sit in the spectrum of black metal has already been exhausted. The short, most comprehensive answer? They do not fit neatly. For the last seven years, from the delicate elegance and sprawling narrative of their 2013 critical breakthrough Sunbather, to 2015's New Bermuda, their behemoth of a followup, which amplified the ambition of its predecessor tenfold, the once San Francisco-based band have been force-feeding new norms down the throat of a genre skilled at resisting change. Their newest offering, Ordinary Corrupt Human Love, fully sheds the responsibility of levelling with purists. Produced by Jack Shirley (Jeff Rosenstock, the Smith Street Band), the album plants its feet firmly in the territory of expansive rock odyssey. Dealing with euphoria and dissolution, pain and devotion, Deafheaven do not treat these themes as mutually exclusive, but tangle them with complementary sonic environments that span ample musical and cultural landscapes. On album opener, "You Without End," screamer George Clarke situates his guttural snarl as the backing chorus to theatrical, climactic keys that mimic the gesticulating celebration of "Life on Mars" or "Bohemian Rhapsody"; the haunting undertone of metallic darkwave on "Night People" (which features Chelsea Wolfe and producer Ben Chisholm) could be a Chromatics outtake; and "Glint" flirts with star-spangled stadium rock. 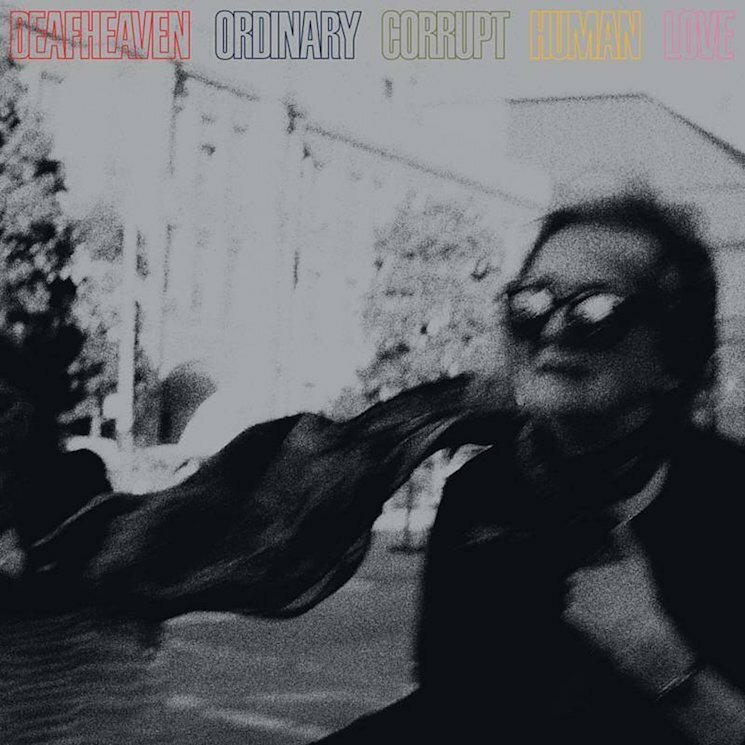 At its core, Ordinary Corrupt Human Love relishes in the band's ability to deliver speed guitar and blast beats designed to asphyxiate, either as the foundation of a song like "Canary Yellow," or sandwiched between impossibly catchy golden-toned power pop and celestial post-rock on "Honeycomb."